While the line created a stir, it soon died upon Future not bringing life to the suspected drama. With the promotion of his album “Future Hndrxx Presents: The WIZRD,” the Atlanta rapper is being asked his feelings about the two year old line. Yeah, with Jay-Z, I talked to him and he was like, ‘Man, I didn’t mean to say that. I didn’t mean it like that.’ I was just like, ‘You supposed to be bigging up the rap community, you need to let the NFL deal with the NFL. You supposed to be biggin’ up me. We come from the trenches. I come from the streets, you come from the streets, you supposed to be biggin’ me up. [You not supposed] to be giving negative attention to a hotline to something that’s always going to be out. ‘My fault’ all that back to back, but it’s out now, so it’s just like, it ain’t no ‘my fault.’ It is what it is. I ain’t even trippin’ off him. I’m trying to get to where I’m going and ain’t nobody gone stop me. Or whatever going on; the talkin’ the caption or whatever the memes, it can’t stop me cause there’s a vision I have and goals I have that I gotta get done no matter what. I thought about that line and I thought about Hip-Hop. And I was like, ‘I really don’t mean any malice.’ And what I mean by that is, the way his situation plays out because he’s such a public figure, my mind would have played out that way and maybe four times more…It was a line to say, ‘that could happen to me in my future.’ Just so happen, his name was Future and I made a scheme out of it. It was more so of a rapper thing….I don’t have any reason to try and embarrass him. 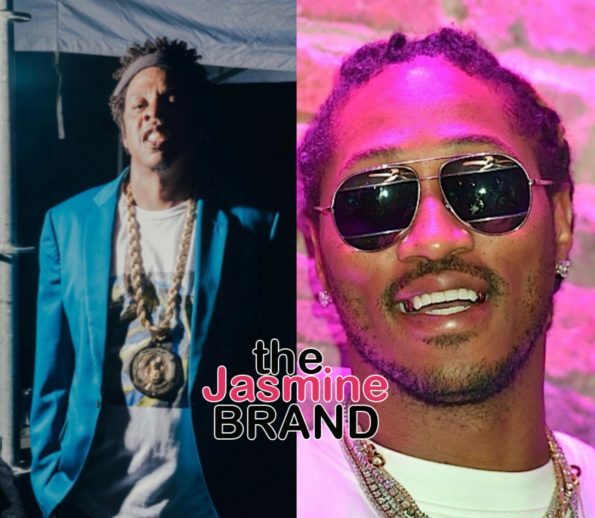 The post Future Says He Confronted Jay Z For Shading Him On Song appeared first on theJasmineBRAND.